Eye-catching sparkle for the ears. 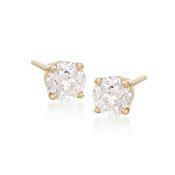 One of the most popular earrings, these studs showcase 1.00 ct. t.w. 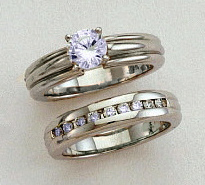 of round CZs in 14kt white gold. Post/clutch, CZ stud earrings. CZ weights are diamond equivalents. 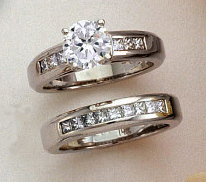 Depending upon the size and the quality of the diamond, you may wish, the price will vary. PLEASE CALL FOR PRICE! A delightful display for day or evening, these 4.00 ct. t.w. 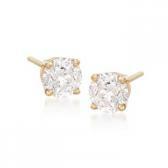 round CZ stud earrings shine in 14kt yellow gold! Post/clutch, CZ stud earrings.CZ weights are diamond equivalents. Faux forever! 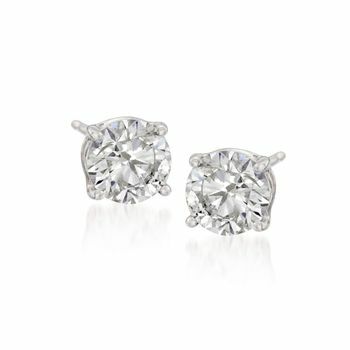 These stunning 3.00 ct. t.w. 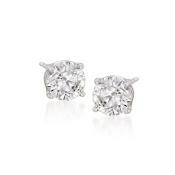 Cubic Zirconia Stud Earrings set in 14 Karat White Gold Post/clutch, CZ stud earrings. CZ weights are diamond equivalents. Round Shape. Large and Luxurious, yet so affordable. 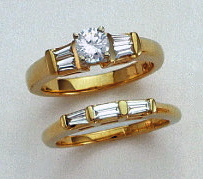 These 3.00 ct. t.w. Cubic Zirconia stud earrings are sized for high impact, set in 14 Karat Yellow Gold. Post/clutch, CZ stud earrings. CZ weights are diamond equivalents. A classic luxury is more affordable with CZs. 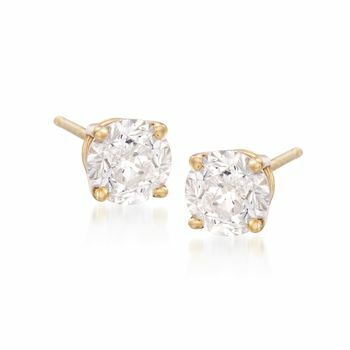 These stud earrings feature 1.00 ct. t.w. 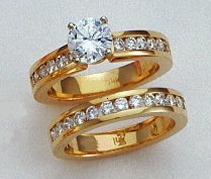 of round CZs in 14kt yellow gold. Post/clutch, CZ stud earrings. CZ weights are diamond equivalents.